I used to see "public bids" in the Messenger whenever the county government was going to make a purchase of any significance. Is that no longer required or am I just missing it? Regarding the Vegas line of the number of season wins for the Texas Rangers, I told you to take the under. Once again, I'm a Sports Genius. I told you that if he didn't testify he would be convicted. Once again, I'm a Legal Genius. There's an appeal that has been filed in a Wise County criminal felony case. The briefs will be available online and, trust me, it's going to get tense. I'll keep you posted. The West, Texas explosion that killed 15 was five years ago today. Time flies. I haven't mentioned the arrest at Starbucks of the guys who happen to be African-American because I want more background facts. If a private establishment tells you to leave because you aren't buying anything, you leave. A judge forced Trump's lawyer, The Dumbest Lawyer in America, Michael Cohen, to reveal the names of his clients yesterday. He had three. 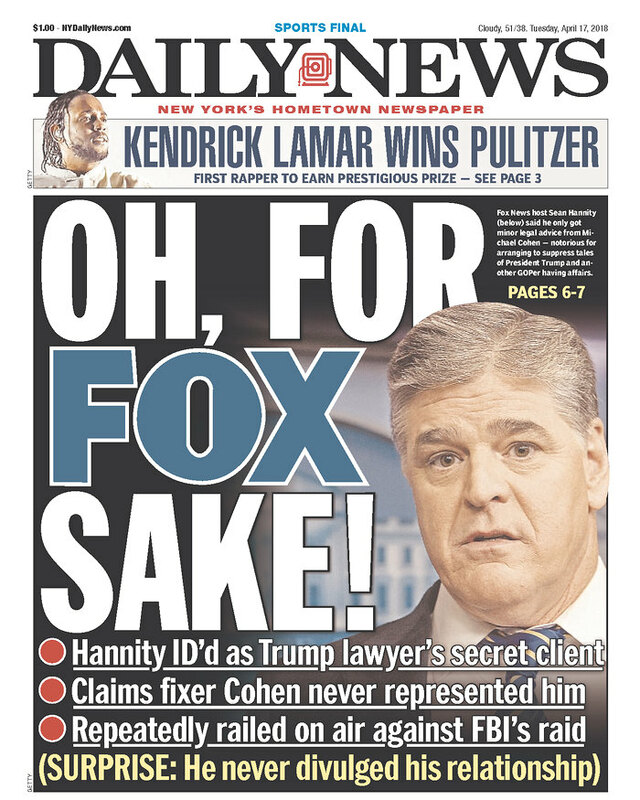 The last one revealed was Fox News' Sean Hannity. I'm giddy. 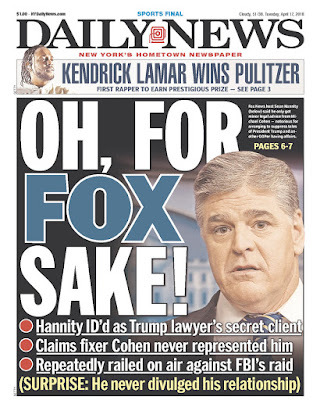 Hannity, who has interviewed Cohen numerous times without revealing the relationship, is going to be fired. Then again, it's Fox News. Edit: Hannity made $36 million last year and he chose Cohen as his lawyer. Going to court. He has a cover over his umbrella. The concept that you have to be paid as a lawyer in order for the attorney/client privilege to exist is 100% false. And the fact that Stormy Daniels showed up makes the Trump Administration an official clown car. How's that "Make America Great Again" working out for you? The courthouse is getting new outside security cameras. If you work on the courthouse square, they will be able to see everything in high-def. The University of Texas is going to expand their stadium at a cost of $140 million. And people struggle to pay to put their kids through that "public university." That couldn't be used for academic scholarships? The "Night Court" judge, Harry Anderson has died at 65. Someone asked me why I don't run for chairman of the Democratic Party in Wise County in order to organize them and energize them.